Buddy was sick for about a week. Buddy was given barium and x-rayed to learn more about what was causing the problem. 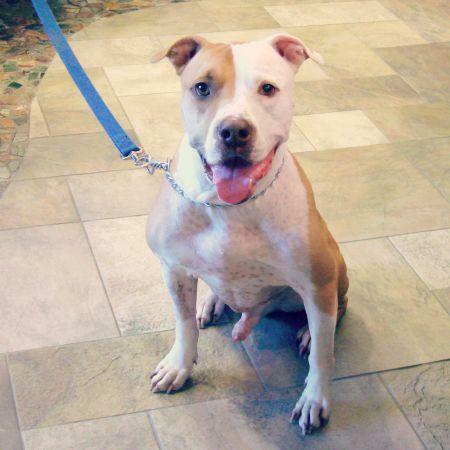 The 4-year-old Pit Mix had a foreign body, an object in his digestive system that made him sick! A foreign body can irritate and damage the digestive system and cause a life-threatening blockage. Unfortunately, Buddy likes to eat toys. Like many pets who ingest foreign materials, Buddy required surgery. A few weeks later, Buddy was getting his sutures out and happily posing for the camera! Buddy is a very friendly, special pup. We wish him the best as life gets back to normal.